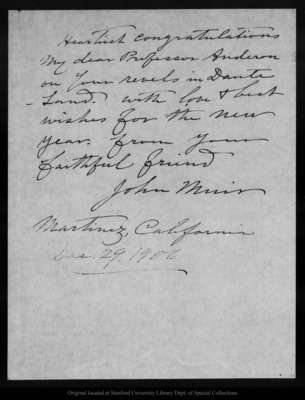 Letter from John Muir to [Melville Best] Anderson, 1906 Dec 29. Stanford University Library Dept. of Special Collections. Please contact this institution directly to obtain copies of the images or permission to publish or use them beyond educational purposes.